Tablet industries are getting lots of tablets in recent days. Now HTC is coming with their new Tablet HTC Flyer. HTC was able to create a good place in smartphone industry recently. Now HTC is placing their foot towards tablets industry through HTC Flyer. The price in India of HTC Flyer and release date of HTC Flyer in India will be discussed here. HTC Flyer was officially launched in the first of this year in mobile world congress and tablet was available in the markets from May last onwards. HTC was using Android platform for their smartphones. HTC will be using the same platform in their tablets. But HTC Flyer will not be using Android 3.0 Honeycomb. Android 3.0 Honeycomb is the most used platform in tablets PC. Instead of this HTC Flyer will be coming with Android Gingerbird which is commonly used in smartphones. The mobile users all over the world is wondering that why HTC has avoided Android 3.0 Honeycomb and using Android Gingerbird. The reason behind this is very simple. Google has not given the source code of Android 3.0 Honeycomb to the public. Without knowing the source code HTC will not be able to use Sense user interface which was developed by HTC after a lot of researches. HTC comes to tablet industry itself with the aim to publicize the Sense user interface. So they settle for Android Gingerbird in their HTC Flyer. Even though HTC's Android strength is little bit less it is much stronger in hardware. 7 inch TFT display, 1.5 Ghz single core CPU, 16 GB inbuilt memory, memory slot for external memory etc. makes HTC's hardware much strong. Scriber Pen is another specialty of HTC Flyer. Scriber pen allows the user to write in their tablets with simple as they are writing in slates. It will give magical touch to their phones. 5 MP camera, 1.3 MP camera for video call, built in dual microphone are the other features of HTC Flyer. The weight of HTC Flyer is 420 gram. HTC Flyer is coming with variety of features and is expected to get a good response in Tablet PC industry. HTC Flyer will create a good competition for Apple iPad 2. Watch video library is another good feature of HTC Flyer. Hundreds of Hollywood movies are stored in this library and users can easily access these movies. WiFi, Bluetooth, Adobe flash support, 3G connectivity will make HTC Flyer more users friendly. HTC have no compromise in their price. Smatphones of HTC was really expensive. Similarly HTC Flyer is coming with a high rate tag. 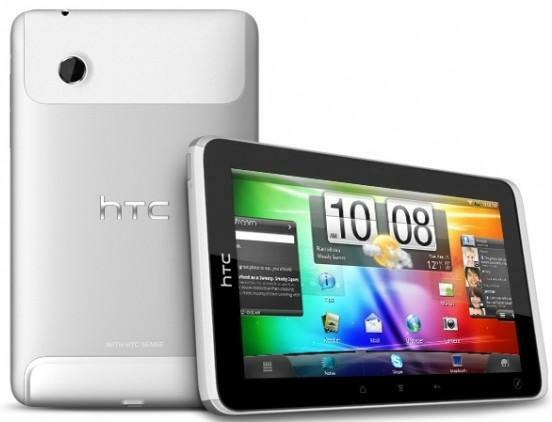 The price of HTC Flyer will be approximately equal to Apple iPad 2. The Price of HTC Flyer in India will be around Rs. 35000. Users wish to buy HTC Flyer online can book through the website "Best Buy" with an expense of $500. An extra $80 has to be given for scriber pen. It takes about five months for HTC Flyer to reach in foreign markets. By the end of May HTC Flyer is available in foreign markets and HTC Flyer will be available in India from June onwards. You have submitted a nice resource giving the specifications and details of the new tablet from htc. But I found the spelling of android 2.3 wrong. Please change ' gingerbird' to ' gingerbread'.